Chic Alert: Coat Sale Up to 50% Off ! After a new coat? Want quality and style from a great range of coat selections but at a discounted price? 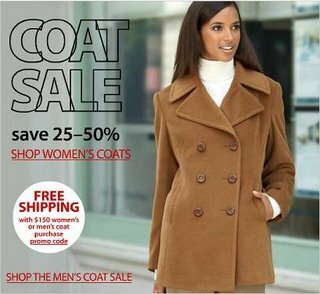 If so then warm up and save with the macys.com Coat Sale! Now through October 31, you can enjoy savings of 25-50% plus FREE SHIPPING on men's or women's coat purchases of $150 or more. While there also check out the macys.com Have a Great Weekend Sale with savings of 10-50% sitewide.